Hot Oil Hair Treatments Decoded. Wondering what's all the buzz about hot oil treatments? Read on and find out why everyone raves about them and how you can use them yourself. First off, as stated, there are many benefits that make including a homemade hot oil treatment in your weekly hair care routine regardless of whether you have dry hair or your stands are on the oily side. The most important are: maintaining the hair's moisture, increasing shine, nourishing the hair strands, preventing frizziness and adding volume. Furthermore, if you go the DIY route, your beauty budget won't suffer. 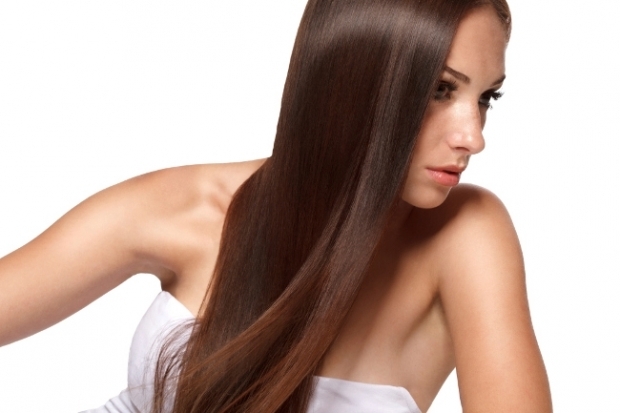 Choosing the oil or oils is the crucial step for optimizing your hot oil hair treatments. Olive oil is perhaps the most common choice as it is the most affordable, yet it is far from being the only one. Jojoba oil, another popular choice is a great option since it resembles the hair's own structure. Coconut oil is widely recognized for its ability to add shine, castor oil is recognized for adding strength to breakage prone hair while avocado oil is great for battling frizziness. Choosing the best hot oil treatment for hair is as you can see highly dependent on your needs but if you're only beginning with the treatment, experimenting with different oils is perhaps the best strategy. You can even mix oils for added benefits. Now, let's see the simple way to use this info for a fabulous hair. Choose the desired oil or oils and place it/them in a small bowl and put them in the microwave for 1 minute max. This is especially important for coconut oil which needs to liquefy. It's important to know that although a change in temperature is important, you should never ever risk burning your scalp. Test the mixture beforehand. If it feels uncomfortably hot for your fingers, it's definitely too hot for your scalp. After you've determined that the mixture is safe, massage it gently into your scalp and cover all your hair with a plastic cap. Allow the mixture to work for an hour massaging intermittently, then proceed to wash your hair as usual. Repeat the process on a weekly basis.